2011. RUSSIA. Valday Region. 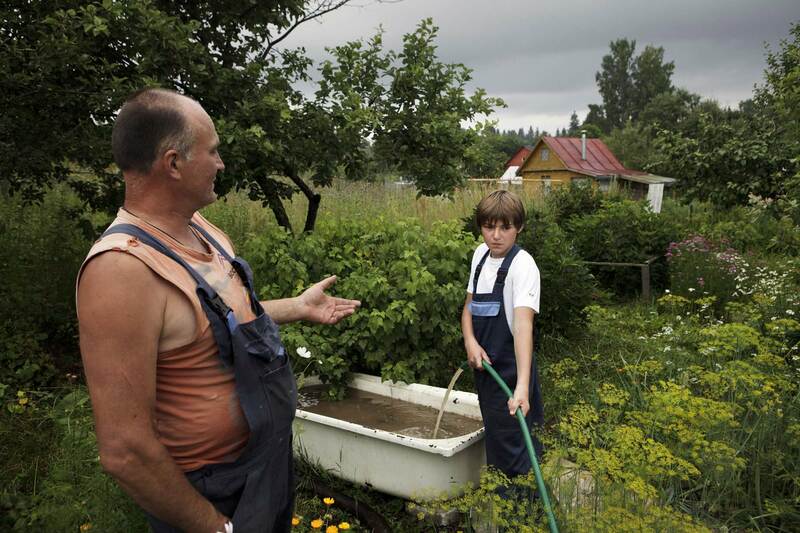 In the dacha village of Nertsi, Evgeny and his son German pump water into an old bathtub so that they can water their garden.